A Boeing 747-8 Cost around $400 Million…..
Something is VERY wrong with this…. They came preassembled , as they where supposed to go to a Russian outfit that couldn’t come up with the money…. Now Trump’s price ‘deal’ is like just about everything else he touches….. The current price is bound to go up in the end…..
It’s how things go when there is no limit on what the government will spend to give a America President and airplane ride…. 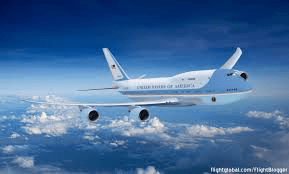 “The total VC-25B acquisition cost…is $5.3B and encompasses all costs associated with fielding the system,” Air Force spokeswoman Ann Stefanek wrote in an email Monday, referring to the new Air Force One by its military designation. Air Force officials have always privately conceded that the program was going to cost more than the $3.9 billion figure touted by the White House last year….